Should You Offer an Executive Benefit Plan? It’s well-known that a company’s most valuable asset is its human capital: the employees. For business owners, attracting and retaining talented employees is critical to running and growing their companies into the future. From the administrative staff to the executive team, finding ways to motivate employees can be challenging — so many businesses choose to implement benefit plans, such as pension, profit-sharing and 401(k) plans, to provide employees with added value to keep them happy. However, with so much competition for top leadership across industries, are those benefits really enough? Are executive employees truly motivated by these offerings, or do they require something more? The executive team is vital to the future success of a company. These individuals become the management team that blocks and tackles for the business owner on a daily basis. They manage other employees. They manage the customers. And in many cases, they also manage important aspects of the business, including quality control, finance, operations and more. 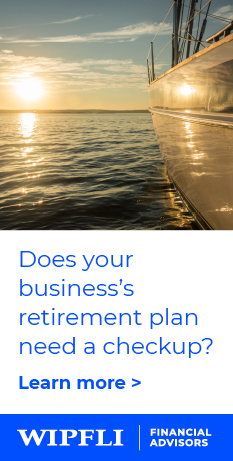 As key employees, they allow the business owner to have peace of mind when he or she is on vacation, or absent for a health matter or a family emergency. For these reasons, most business owners seek to attract and retain talented executives who they can trust with their business. One important tactic for keeping key employees is an executive benefit plan. There are many different types of executive benefit plans; each comes with a unique method or approach for rewarding an executive, depending on the business owner’s goals and objectives. Executive benefit plans can be designed by an employer to exclusively benefit one executive or a select group of employees. Moreover, executive benefit plans can provide current or future benefits to an employee; are not subject to the normal qualified retirement plan contribution limits, nor the discrimination rules; and can be used quite effectively to motivate key employees. Executive benefit plans allow a business owner to provide rewards and incentives unique to each employee or group of employees, offering maximum plan design and flexibility. Just how effective are these programs? In a recent survey conducted by The Newport Group, 50 percent of plan sponsors stated that their benefits programs proved to be “very effective” in retaining executives over time. In general, most respondents also reported that their benefits plans helped them stay competitive against peer companies, from a compensation standpoint.1“Executive Benefits: A Survey of Current Trends,” The Newport Group, 2014/2015, http://mbsfin.com/wp-content/uploads/sites/44/2016/07/2014-2015-Newport-Executive-Benefits-Survey.pdf, accessed May 2017. There are many technical elements involved in designing, implementing and maintaining an executive benefit plan for key employees of a company. One important consideration to keep in mind is the entity of a business, whether it be a C corporation, S corporation or limited liability corporation (LLC), among other types. – What financial benchmarks should be used when designing the plan? – Should the plan be tied to the employees’ compensation or to the employees’ performance? – Should there be a vesting schedule? – Does the owner want to offer employees stock in the company, or should the plan be designed based on company performance? – What happens if the company is sold? – Who will monitor and maintain the plan to ensure compliance with regulatory standards? An executive benefit plan can be a highly effective tool to motivate and incentivize key employees, given the right set of facts and circumstances. However, business owners must give careful consideration to the design of the plan, as well as the tax and legal implications it can bring. Be sure to seek proper, qualified guidance before you decide to implement a plan for your executive team. Are you interested in designing an executive benefit plan for your key leadership? 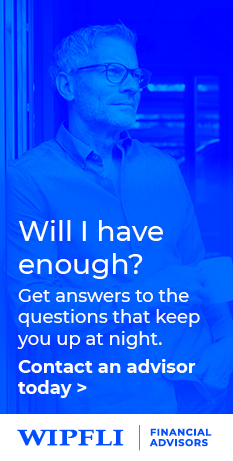 Connect with our team today. Securities, when offered, may be offered through an affiliated broker-dealer Hewins Brokerage Services, LLC, member FINRA; Office of Supervisory Jurisdiction: 2501 Beltline Hwy, Suite 401, Madison, WI 53713, 1-888-520-3040. Securities may also be offered through ValMark Securities, Inc. Member FINRA, SIPC; 130 Springside Drive, Suite 300, Akron, Ohio 44333-2431, 1-800-765-5201. Hewins is a separate entity from ValMark Securities, Inc.